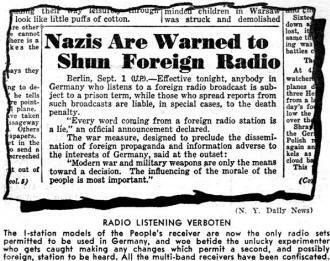 This 1939 news bit from Nazi Germany overlords illustrates the results of well-meaning citizens voluntarily surrendering their personal freedoms and right to self defense. Nazi Party, by the way, derives from National Socialist German Workers' Party. The 1st Amendment of the U.S. Constitution guarantees we, the American people, a right to free speech, and by extension, a right to listen to whatever someone else opts to say (excluding, of course, overt and specific threats of harm). Many generations have enjoyed that and a specific list of other freedoms, but the passage of time has seen a dilution of those freedoms due to aggressive lawmakers and passive citizens. Throughout history when citizens yielded their freedoms to government in promise of benefits, favors, protection, etc., they almost always found themselves on the business end of a gun (or tank, arrow, battering ram, sword) being wielded by that same 'benevolent' government. America's founding fathers were so aware of the repeating pattern that they wrote the 2nd Amendment into our Constitution specifically to ensure 'the governed' had means, if necessary, to retain its guaranteed freedoms in spite of the whims of elected and appointed legislators - read the first few paragraphs of our Declaration of Independence to understand their motivation if you doubt me. Berlin, Sept. 1 (U.P.). 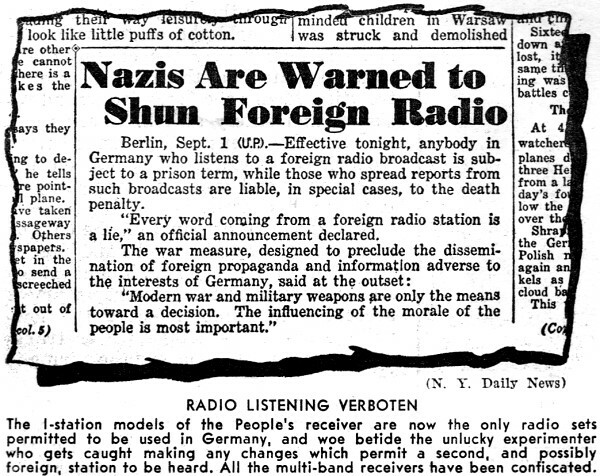 - Effective tonight, anybody in Germany who listens to a foreign radio broadcast is subject to a prison term, while those who spread reports from such broadcasts are liable, in special cases, to the death penalty. 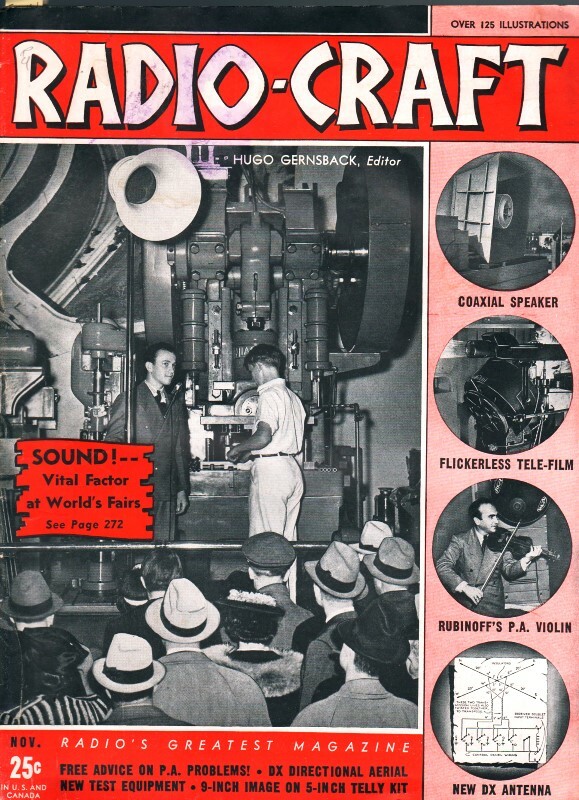 "Every word coming from a foreign radio station is a lie," an official announcement declared. "Modern war and military weapons are only the means toward a decision. The influencing of the morale of the people is most important."